The tickled pink cocktail is a perfectly simple drink recipe that's sure to impress anyone. 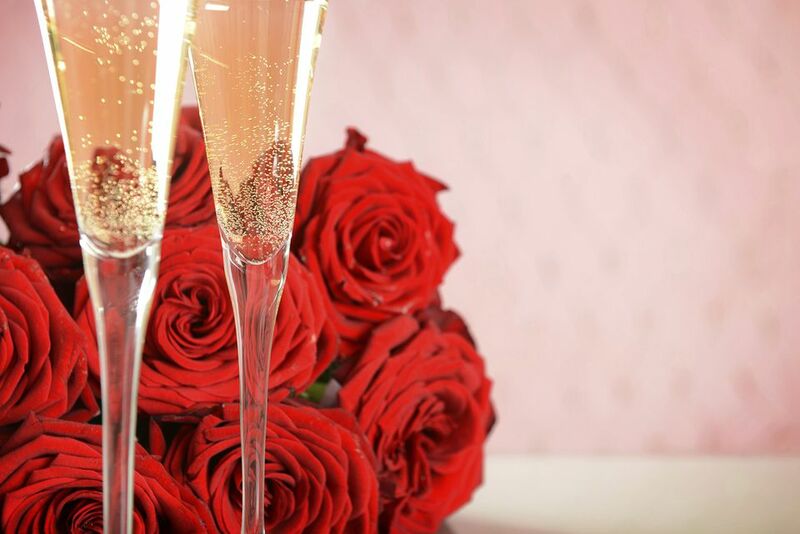 It's a beautiful Champagne cocktail that features a fun, fruity liqueur which comes with its own suggestive twist, making this a perfect option for Valentine's Day or any romantic occasion. This recipe comes from X-Rated Fusion, a seductive pink liqueur with the sweet flavors of blood orange, mango, and passion fruit. It's a brilliant base for your favorite sparkling wine (Champagne is recommended, but not required). With just those two ingredients, it's incredibly easy to mix up, freeing up your time to concentrate on food or any other mood-setting endeavors you have planned. Fill a Champagne flute two-thirds full of Champagne. Top with X-Rated Fusion Liqueur. The exact amount of wine and liqueur you will end up pouring will depend on the size of the glass. Pay more attention to the "two-thirds full" to keep the ingredients in balance than the actual volumes suggested in the recipe. Champagne can be expensive and you can save some money by going with another sparkling wine. Italy's Prosecco is a favorite for cocktails and the bubbles are known to be quite lively. Cava is another great option from Spain that is often affordably priced. You can also double up on the "pink" with a sparkling rosé or go with a rosé Champagne. No matter which wine you choose, be sure to chill it before mixing the drink. Adding a long lemon twist draped over the rim is an elegant way to dress up this cocktail. It would also look fantastic with a single raspberry floating amongst the bubbles. Once a one-bottle brand, X-Rated now produces a second flavored liqueur that can be used in this cocktail. X-Tropix is a delicious blend of pineapple and coconut that would be quite lovely with Champagne if you're in a tropical mood. As an alternative to X-Rated, the tickled pink can really be made with a variety of pink or red fruit liqueurs. Look for raspberry, strawberry, and similar liqueurs as well as any fun, new fruit blends that might catch your eye at the liquor store. How Strong Is a Tickled Pink? X-Rated Fusion is bottled at a gentle 34 proof, so it's just slightly stronger than the average Champagne. When the two come together in the tickled pink, the cocktail's alcohol content is merely an average of the pair, or about 14 percent ABV (28 proof). One or two rounds will put a smile on your face, but there's no need to worry much that you'll be too tipsy to enjoy the evening!